AverLife HD Studio ~ " World Information "
AVerLife HD Studio makes it easy to enjoy Full HD 1080P movies on your big TV screen. 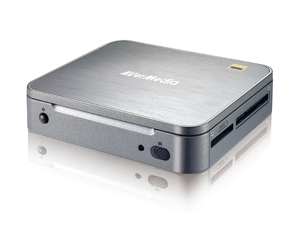 • Ready to play your Full HD 1080P movies and video files on your TV at any time. • Share files over the local area network - Easily share media with friends and family. • Newer and faster processor for increased performance in all areas. • Supports the most advanced high-def video and audio standards, including MKV HD and Dolby. • Supports Flickr, Picasa & Internet Radio. • Enjoy movies, music and photos in the living room on the big TV screen.